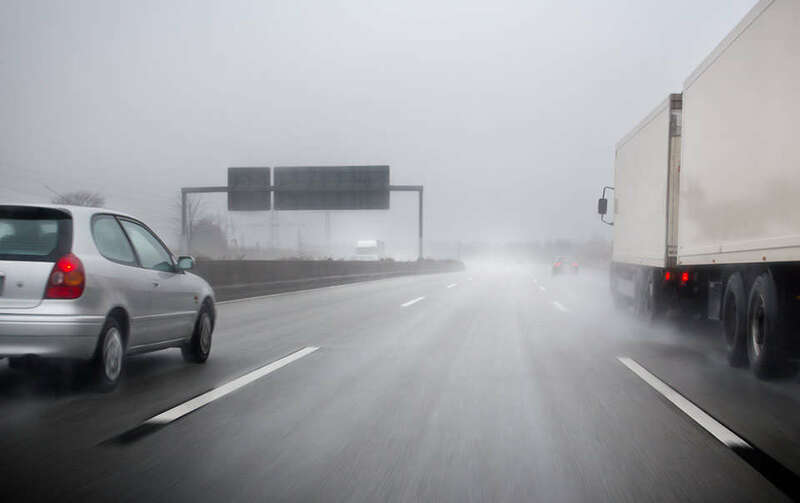 Heavy rain showers, ice and snowstorms aren’t the only weather conditions that drivers need to be prepared for over the winter months. Strong winds can cause chaos on the nation’s roads, with Storm Conor bringing wind speeds of up to 94mph when it swept across the country over the festive period. Keep up-to-date with the latest storms that are heading to the UK — The Met Office has a handy UK Storm Centre set up on their website so you will know about threatening weather and have plenty of time to prepare. When a storm hits, listen out for traffic bulletins — High winds can result in speed restrictions being applied to certain roads and some exposed bridges even being temporarily closed. Tune in to local traffic bulletins so that you are regularly updated about any changes you may have to make to your journey. Watch out when driving on exposed stretches of road — You are likely to feel the wind more when you are driving along open stretches in the countryside or over a bridge, so take extra care when on these routes. If you can, avoid such routes completely when wind speeds get particularly fierce. Take care when passing larger vehicles — Lorries and tractor-trailers face a challenge to stay in their lanes during high winds. Give yourself plenty of space when overtaking these vehicles or choose to stay a safe distance behind. Anticipate changes in wind speed when passing high-sided vehicles— While you may get shelter from the wind alongside a large vehicle that you are overtaking, a strong gust is always a risk once the manoeuvre is complete. Take your time and be ready to keep your steering under control. Use the 10 and 2 technique of gripping a steering wheel — You should keep both hands on the steering wheel when driving in high winds, so that you have the most control possible if a gust catches you unaware. Slow down — As the handling and braking of your car can be significantly affected in high winds, it pays to slow down so that you can cope with any sudden gusts that you become subjected to. Be on the lookout for fallen trees on roads — Wood life can be another victim when high winds strike, so if you’re driving along a road that is lined with trees be especially cautious in case branches or a tree has fallen and blocked a route. Be smart when parking your car — It’s not just when they’re behind the wheel that drivers need to consider the effects of windy weather. Once you reach your destination, aim to avoid parking under trees or near items that can be easily blown over so that you don’t get a nasty surprise when heading back to your vehicle.